It's been a while since I stepped on a scale so I gave it a good dusting off this morning and I was down 2 pounds. Slowwwww going, but my muscles are starting to come back so it's fine. As long as I'm seeing progress I'm happy. Now that I'm firmly back into a work routine I thought I'd give my diet a little more attention. 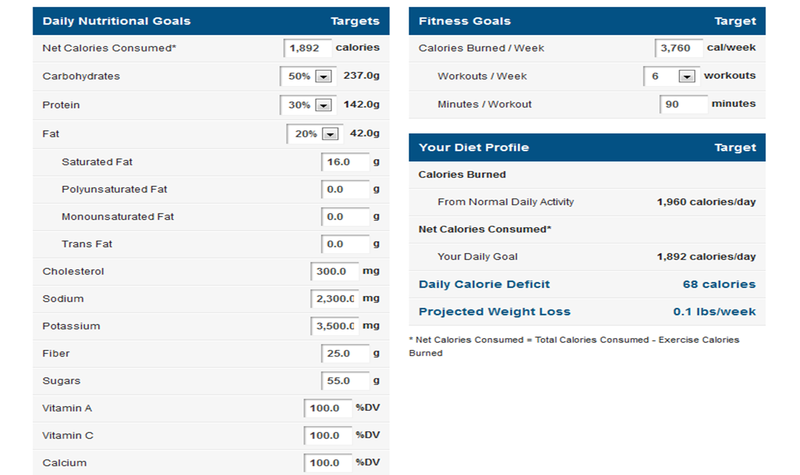 I used the IIFYM calculator to determine my macros - that is how much carbs/fats/proteins I should be eating daily. I'm going to use these numbers for 3 weeks and see how I do. I went into My Fitness Pal and changed the calories and percentages until they matched with the results I got from IIFYM. I won't say I'm strictly following the IIFYM because it requires a lot of measuring which is hard for me to do right now, but I'm going to do my best to stay within the guidelines. Oliver is having a hard time getting back on track after the baby so he wants to do a Cleanse, I'm a good supportive wife so I told him I'd do it with him. If y'all wanna do it too we are starting Monday and I'll be sharing our eats and maybe BOTH of our results. I haven't talked him into that just yet though. Flash Giveaway - ends Thursday at 1 pm! Here are some of my eats this week. Lazy girl lunch: Double patty turkey burger seasoned with Grill Mates and stuffed with a Babybel Cheese, side of sweet potato. I was surprised at how tasty and filling these protein puffs were -Kay's Naturals Protein Chips 12g of protein too! The best part of summer is the sun shining at 8pm so we can take a family walk and take my mind off that fact that I really really really want some Fro-Yo. Fingers crossed! Would love to FINALLY give Advocare a shot! Bahaha all I wanted last night was Fro Yo too. So I went and hits some golf balls instead!! Yay for it being lighter longer. I love that you keep everything honest and real. It makes it so much easier to relate and not feel down on myself. Thanks for sharing your life as a working mom. I know that social media has been harsh on you in many ways. Ignore it. You are a GREAT person! Totally caved the other day and got Fro-yo. No shame. okay, maybe a little. I have so been wanting to try the 10 day cleanse. Can I order it through you? You look Fabulous and I LOVE that dress!!!!!!! You look beautiful! Thanks for the link to the IIFYM site. I've been reading about "hitting your macros" but had never seen a calculator to figure out what my macros should be. I'm going to check this out. Thank you!! Are you doing the cleanse AND breastfeeding?? Been wondering if they are compatible. Would love If you'd touch on that a bit, thanks! Love it - I'm trying out IIFYM as well, hoping I'll have more energy for my after-work workouts now that I'm adding back healthy carbs after trying to go carbless for so long! congrats...keep up the good work. I love my Bob Stroller we jst got a double BOB and i can't wait to use it. Your giving me hope that i'll be able to lose the baby weight after #2. I have been drinking Yogi Calming tea with a tiny bit of honey each night to keep the ice cream cravings down to a minimum. I was becoming an ice-cream- a-holic, like I was seriously going to need a support group soon. The tea helps though. A little bit of sweet. You look great! And I am actually really interested in a cleanse and trying one. Hopefully I win!!!! The macros website asks your current body fat %. How do I figure that out? How do you adjust the cleanse for breastfeeding?